Looking back at 2016 at Willowbog Nursery. Author africanbirdingPosted on December 31, 2016 Categories UncategorizedLeave a comment on Looking back at 2016 at Willowbog Nursery. 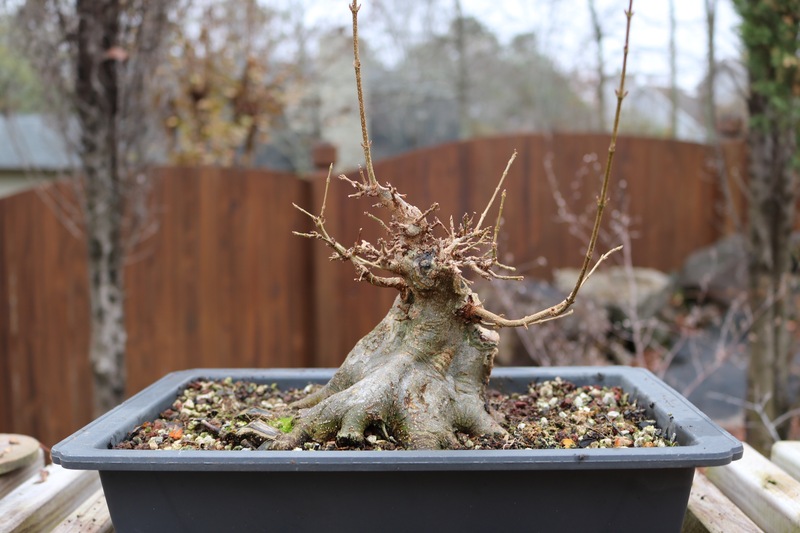 Here we are again at the end of another year and its time for me to review my bonsai journey over the past 12 months by means of a selection of my favourite photographs taken throughout the year. 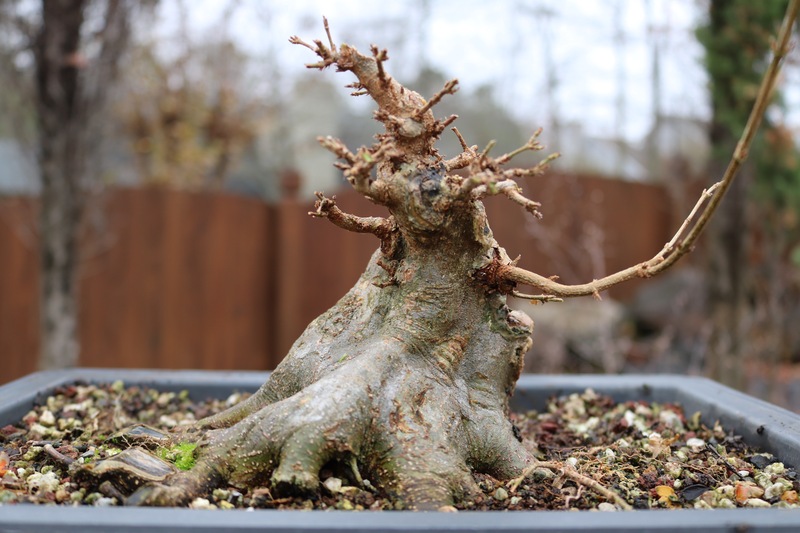 The Ayr Winter Image Show in early January is the first gathering of the season for the Scottish bonsai community. Last year I took my Juniper Squamata along. In February, I took the opportunity to photograph all of my best shohin trees in groups of deciduous and evergreen. Incidentally, the deciduous group received more Facebook likes than any photograph I’ve posted before or since. I finally got around to doing a little work on my new Shohin Japanese Black Pine. I picked this one up whilst on holiday in Tenerife back in October. A visit to Bonsai Centro Tenerife and a chat with Jose Acuna did the job. This is it as purchased. and after a little work. As a large shohin I like the fact that it has possibilities for reversing it in a box stand to fit different displays. Here’s the back. and the other sides just for giggles. Jose gave me a few earlier photos of it which I’ll share here too to keeps my records all in one place.